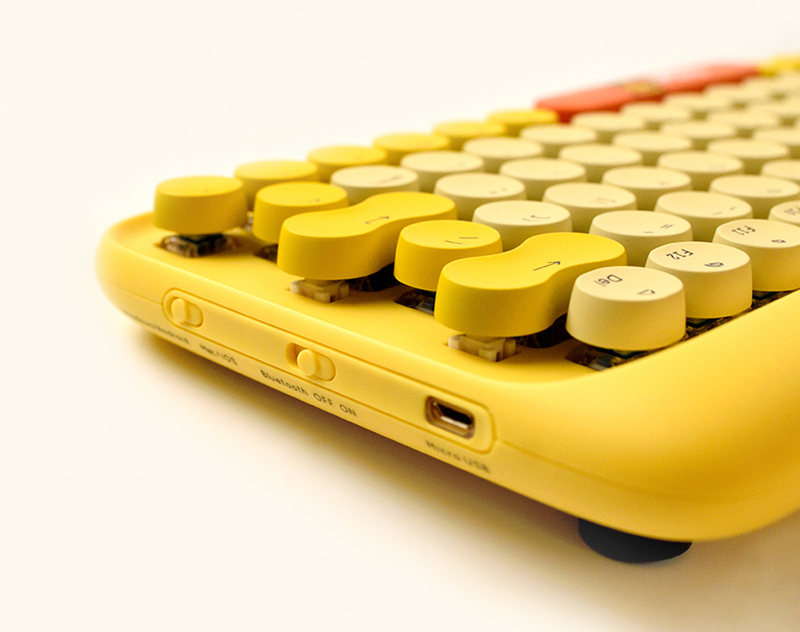 Get the great classic Lofree Dot mechanical keyboard in a bright, bold new way. 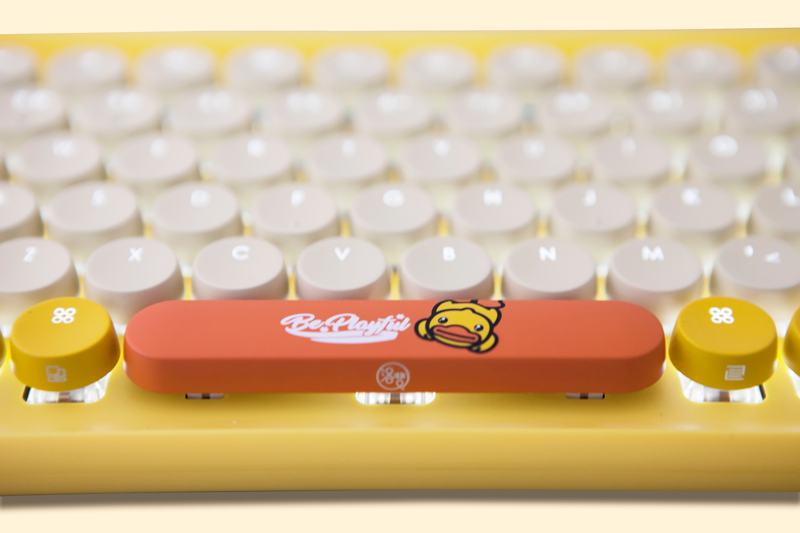 By collaborating with the popular B.Duck, Lofree is bringing to you a brand new mechanical keyboard with custom B.Duck designs and keycap colors. 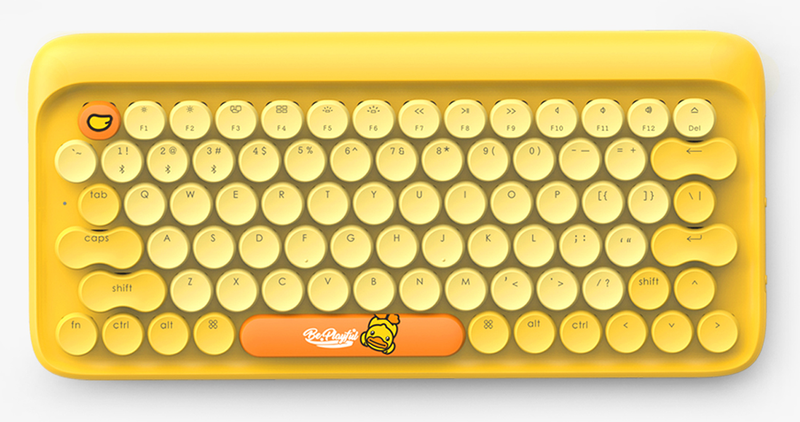 B.Duck is an new take on the classic rubber duckie we played with during childhood. The bright B.Duck is fun, playful, designed for people of all ages. With B.Duck’s twinkly eyes, puffy lips, big tummy, and variety of bright colors, it brings all its customers a fun innovative reiteration of the classic rubber duckie. 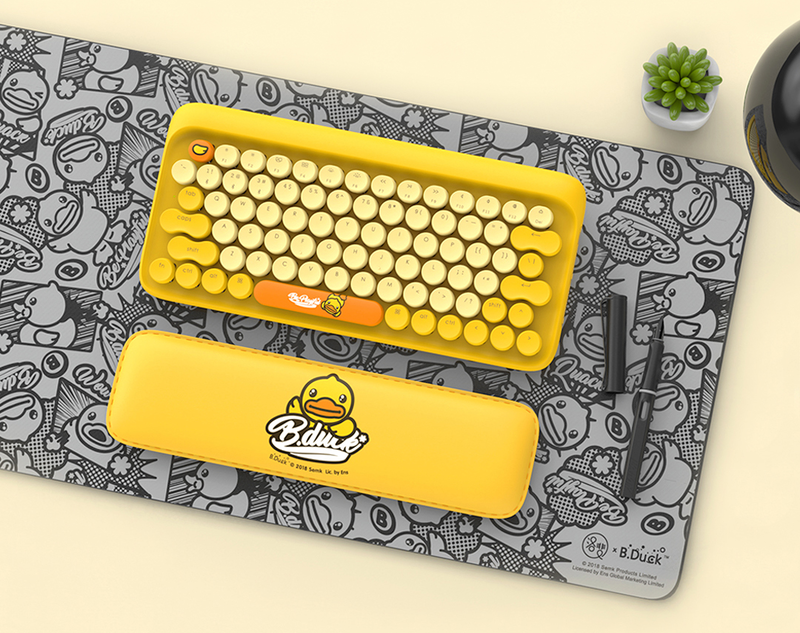 The Lofree X B.Duck collection comes with a complete set: a B.Duck Dot keyboard, palm rest, and dual-sided reversible keyboard mat. 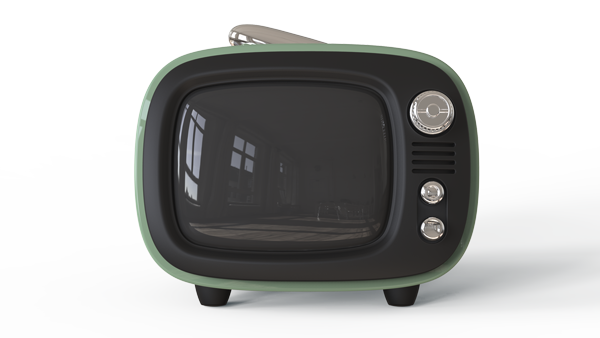 Lofree aims to bring back a sense of nostalgia with all its products. 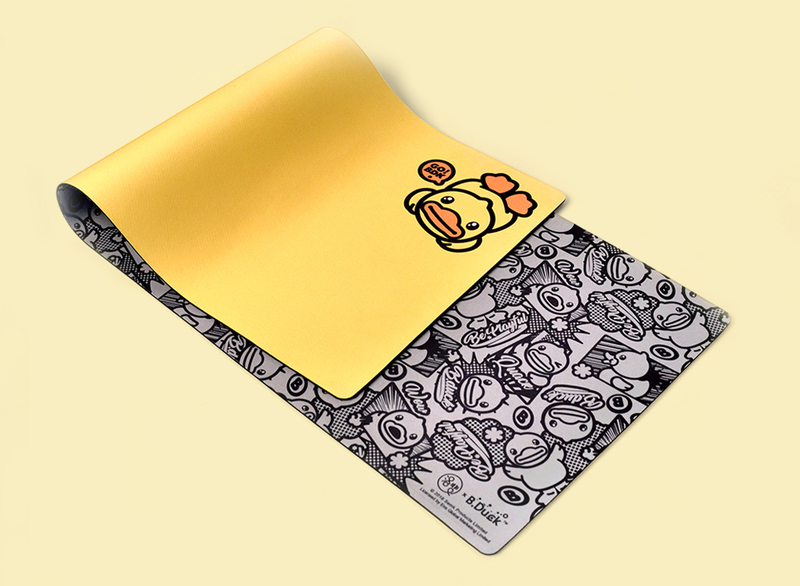 With the B.Duck inspired collection, Lofree aims to bring people back to childhood with their favorite rubber duckie. 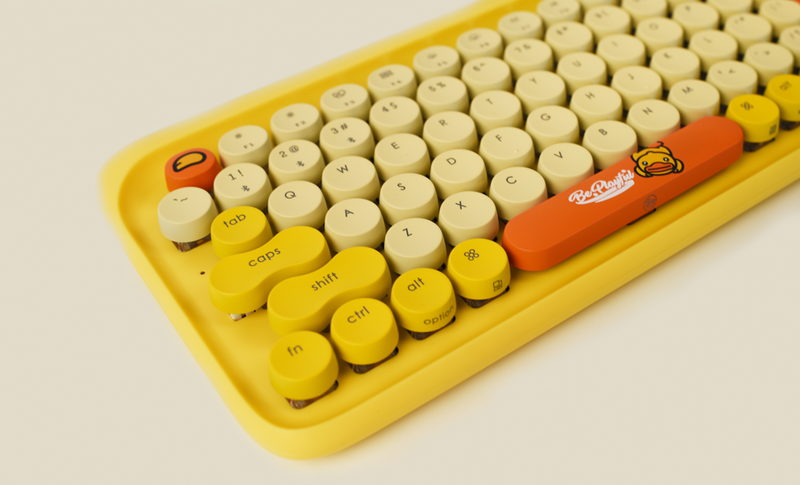 A typewriter inspired mechanical keyboard that comes with round keycaps and Gateron Blue switches to bring you a blast from the past. Give life to your desk with this fiery yellow and the cheerful orange combo to boost your mood and productivity. 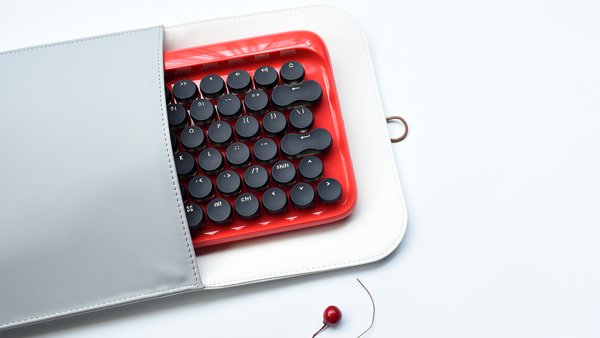 It’s composed of 79 keys with a full N-Key Rollover type keyboard to allow you to accurately type multiple letters at once without any latency. Also, with its 6º incline, alleviate stress on your wrist and finger with type longer more comfortably. With it’s smart sleep mode, a 4,000mAh battery capacity that is 4X more powerful than NiMH batteries, and power saving backlits that are simple yet elegant, this keyboard can last for months without a single charge. It’s four adjustable backlit brightness levels can let you adjust it according to your needs. It’s right angle USB cable allows you to take full advantage of the USB port even in the tightest spaces without any trouble. 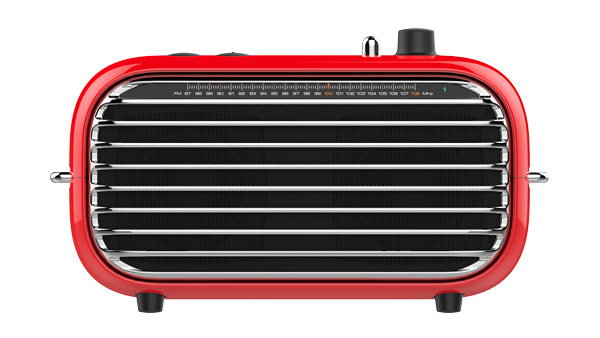 Features both a wired/wireless (Bluetooth) mode, it works perfectly with any mobile phones, computers, tablets. Compatible with Windows, Mac, iOS, and Android. 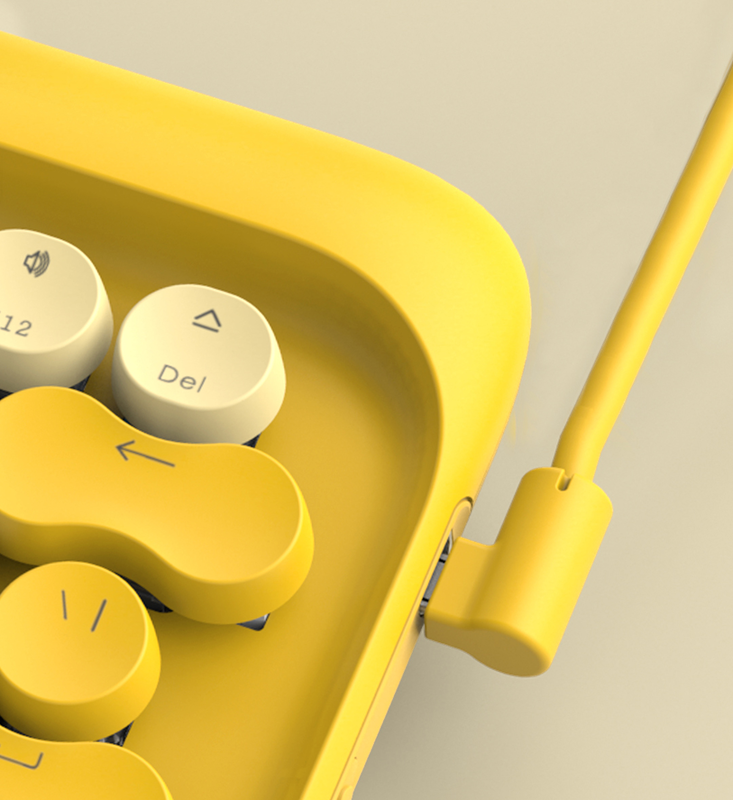 Its 20mm ergonomic design and memory foam constructed lets this yellow keyboard palm rest pad conform to your wrist for exceptional comfort. With its ultra-smooth PU surface, it is easy to keep it clean and vibrant. 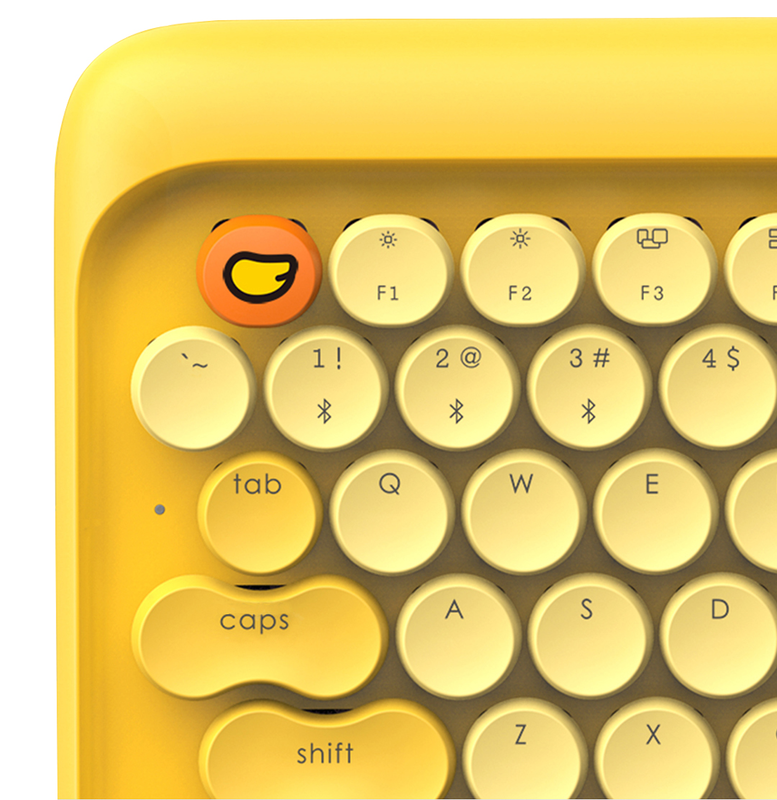 A two-in-one, its dual-sided keyboard mat features a radiant yellow and playful black side; the one-stop-shop to help keep your desktop nice and organized. Made of natural rubber and durable multi-spandex material, with a 900x320mm dimension, it is large enough for any desk sizes.